Life Of Khi: 31/05 - Half Price Frappuccinos! 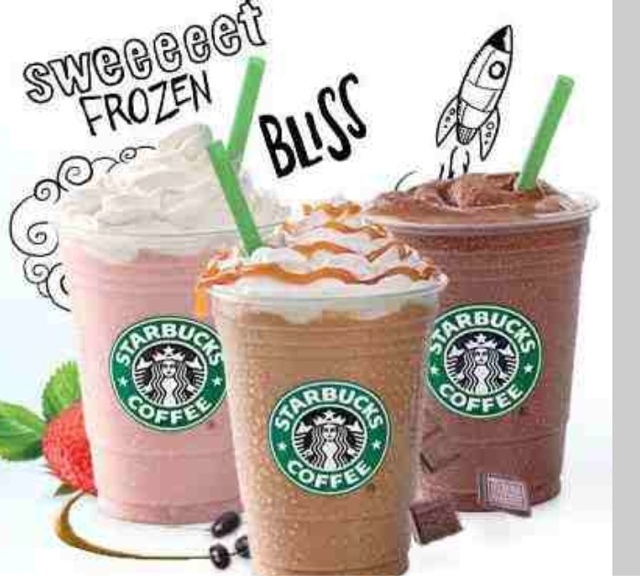 31/05 - Half Price Frappuccinos! I was tipped off to this deal by HollyYMBB's tweet so all credit to her but I had to get this up ASAP as the deal runs out on 2nd June. Frapps aren't my FAVOURITE tipple from Starbucks but I do enjoy a vanilla creme occasionally and I know Lee will love the new cookie crumble flavour so I will absolutely be taking advantage of the deal this weekend. In fact our local Cineworld just got a Starbucks and we happen to have tickets booked tomorrow to see The Hangover 3 so.. Would be rude not to, right? The deal is only 3-5pm so be sure not to miss it if you're in the vicinity!